Kansas State Name Origin | What does "Kansas" mean? 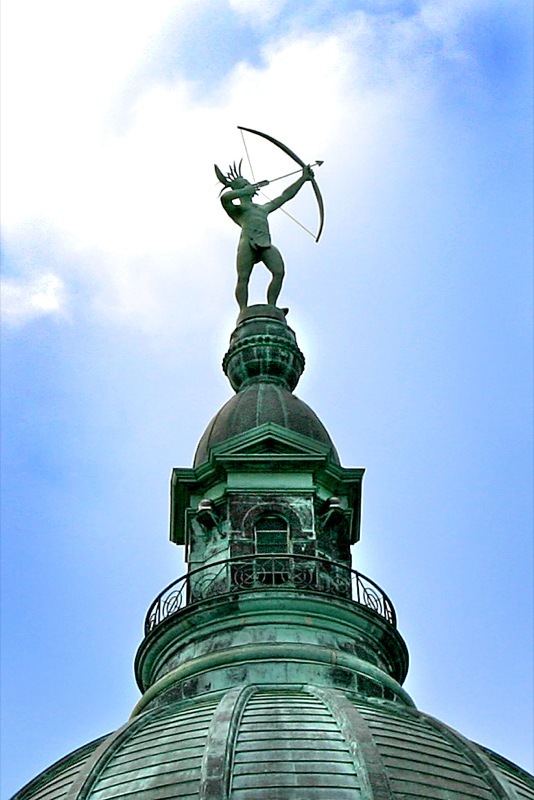 "Ad Astra" statue on state capitol building dome in Topeka, Kansas; Ad Astra is a Kanza warrior (Kanza are the native American Sioux tribe for whom Kansas is named). The Name "Ad Astra" comes from the Kansas state motto; "Ad Astra per Aspera." Photo by Chris Murphy/Flickr (Noncommercial Use Permitted with Attribution/No Derivative Works). According to Kansas Historical Society; "The Kaw tribe derived its name from the Siouan aca, “Southwind.” Among the many variations of the name given by French traders and other Europeans were “Kanza” or “Kansa.” By the mid-18th century, the “People of the Southwind” were the predominant tribe in what became the state to which they gave their name." A bronze statue of a Kanza warrior was added to the state capitol dome in 2002. Sculpted by Kansas artist Richard Bergen, the statue is named "Ad Astra" after the state motto ("Ad Astra per Aspera" meaning "to the stars through difficulty"). The warrior's bow points to the north star as a symbol of finding one’s way. 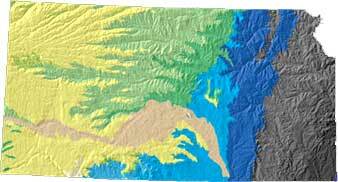 Kansas geology & topography map from USGS: A Tapestry of Time & Terrain. Kansas USA (public domain image). 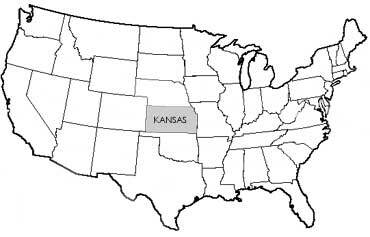 Add Media for Origin of "Kansas"